7 Hills Striping brings professional experience and innovative technology to your projects. From simple striping to extremely complex designs and patterns, 7 Hills Striping pushes the limits of what is possible. This is accomplished by being true to our goal of always delivering quality, reliable and state-of-the-art service. 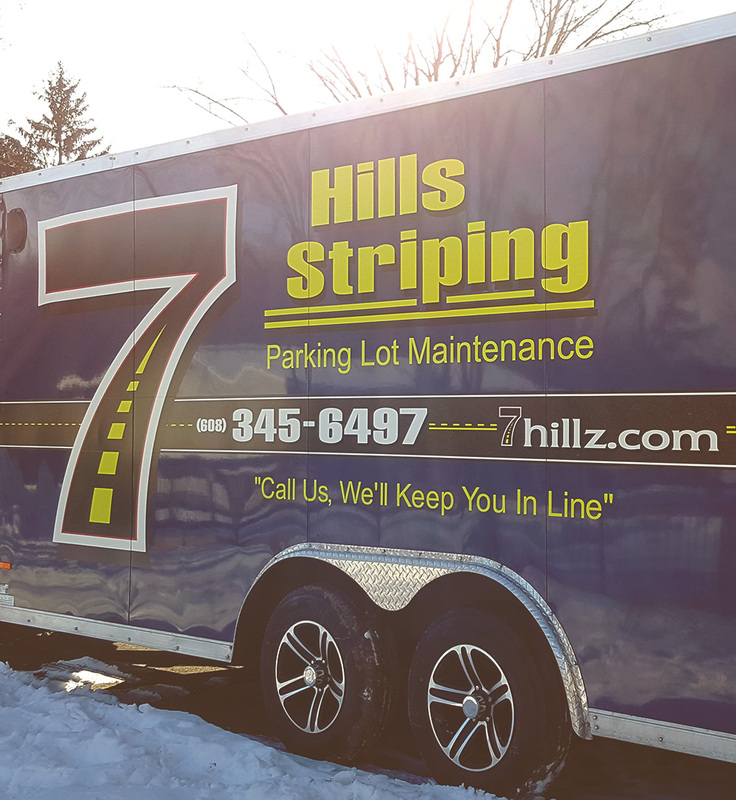 7 Hills Striping strives to be the leader in the industry at service and technology, with the pursuit of excellence and trustworthy services to our clients that has been proven for 20 years and counting. At 7 Hills Striping, we continue to maintain our status as a leader in the industry at service and technology. This is done with the pursuit of excellence and trustworthy services to our clients that has been proven for 20 years and counting. Striping your parking lot promotes safety for pedestrians and drivers, improves visibility and also enhances the appeal of your business. 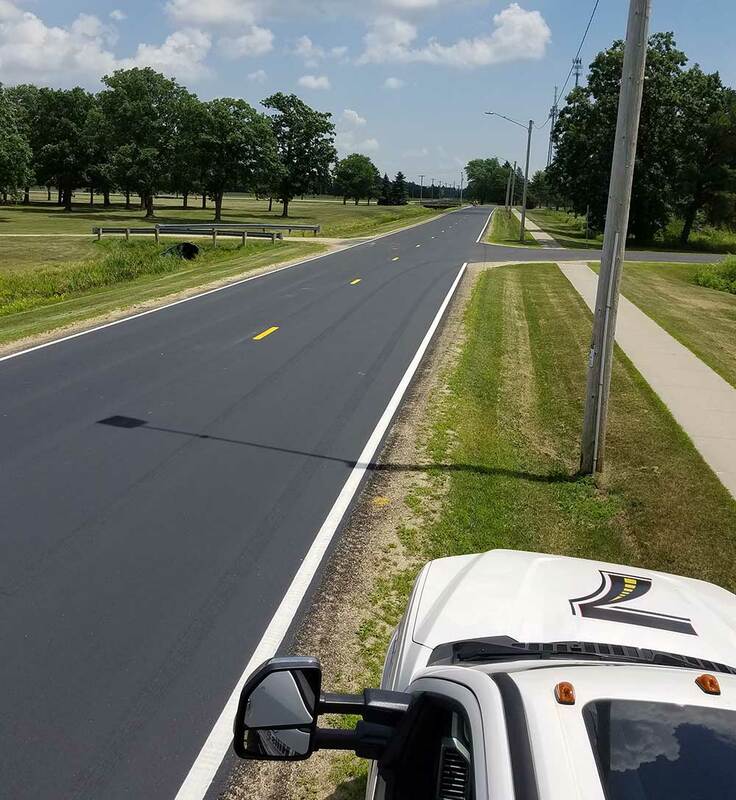 While asphalt striping and repair have been our specialty for more than 20 years, we also offer a wide variety of other services to our customers. No project is too big or too small. Do you need an estimate or have a pricing question? We are happy to give you a free estimate! We offer services for many of your maintenance needs. Simply give us a call or send us an email and we will answer your questions. Just wanted to let you know how happy we are with the results of this last weekend’s traffic marking project here at UW Hospitals and Clinics. 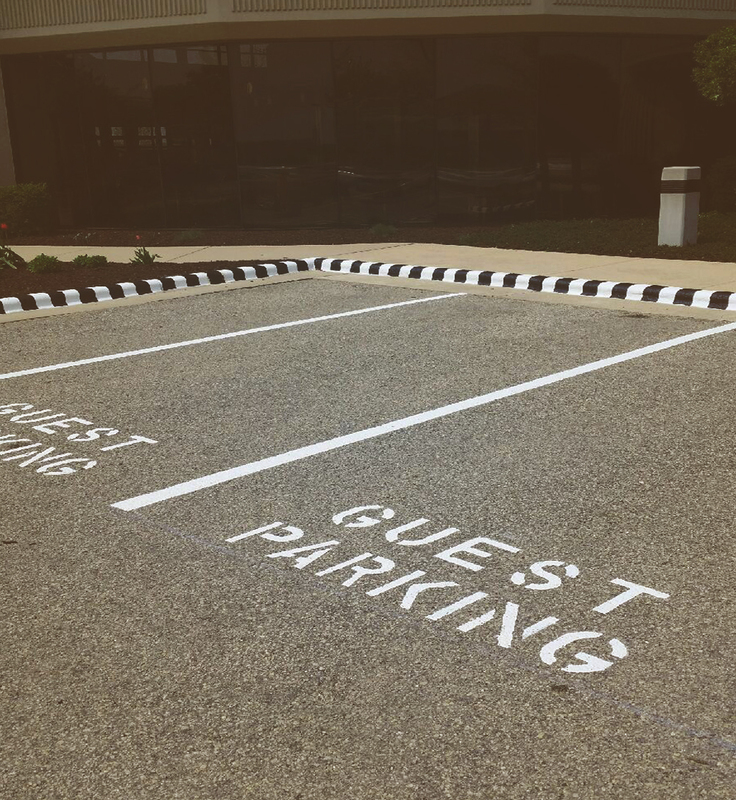 You and your crew do an excellent job and we could not be happier with your ability to accommodate this busy, demanding facility that presents very specific challenges with foot and vehicle traffic. Your products are bold and bright and ensure coating longevity with your prepping and application processes. I like working with 7 Hills Striping because when I need something done they are very responsive and their quality is great. The 7 Hills Striping crew does excellent work and have all the tools and resources needed to complete their work timely and efficiently. We have used 7 Hills Striping in the past and we will continue to use them in the future. We have used 7 Hills Striping for many jobs, and have been consistently pleased with the results. Sam and his crews are always ready to go the extra mile to please our customers and make sure that their work reflects positively on our business. 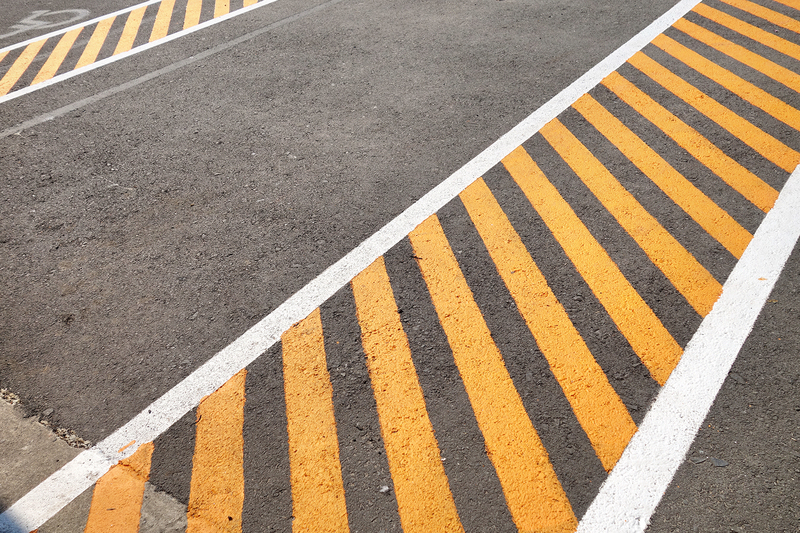 For both our paving and seal coating divisions, we know we can trust 7 Hills Striping to do it right, every time. I have subcontracted work with 7 Hills Striping for several years. The service they provide is first rate. Sam and his crews will meet your schedule and exceed your expectations. The 7 Hills Striping staff was very professional and easy to work with. As the scope of work progressed you were willing and able to accommodate adjustments or changes to the plan. The final result is exactly what we wanted! Please extend our appreciation and compliments to your staff. We look forward to working with you again on future projects. Our company has been using 7 Hills Striping for four straight years. We have had other companies along the way, but in our experience 7 Hills is top notch. When it comes to calling back on bids, attention to detail and work ethic, 7 Hills is the only company we use to stripe our parking lots.